Speech-Language Pathologist Barbara Davis joins us today to discuss the signs and symptoms of Childhood Apraxia of Speech (CAS) as well as how it is diagnosed. Click the play button below to listen to the entire episode or scroll down to view the show notes. Disorder of speech, not a delay. Delay would be learning to speak later than typically-developing children but in the same order and way. A disorder is when the child learns in an atypical manner. Trouble sequencing sounds (can say “oh” but has trouble putting it with a consonant to say “toe” or “go”). **It’s important to note that children with CAS could have these things as well, but a purely CAS diagnosis would come without these things. 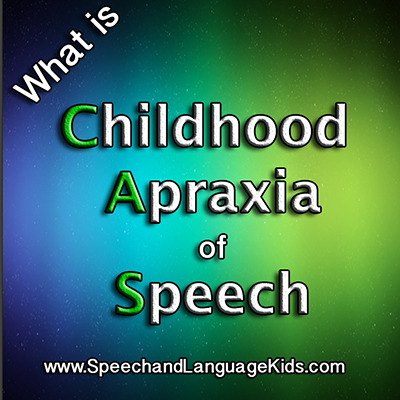 What Causes Childhood Apraxia of Speech? CAS is caused by motor planning difficulties. This means that the child knows what he wants to say, but the signal gets mixed up in his brain during the motor planning phase. This is what causes the inconsistencies in his errors. Sometimes, these types of problems are caused by injuries to the brain or nervous systems, but often they do not seem to have any cause at all. 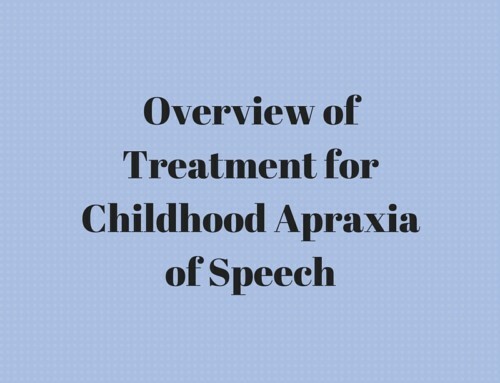 Who Can Diagnose Childhood Apraxia of Speech? Any speech-language pathologist (SLP) has the basic knowledge and certification to diagnose CAS but based on how tricky the diagnosis can be, it is advised that an SLP have additional training, workshops, and experience with CAS in order to make a confident diagnosis. 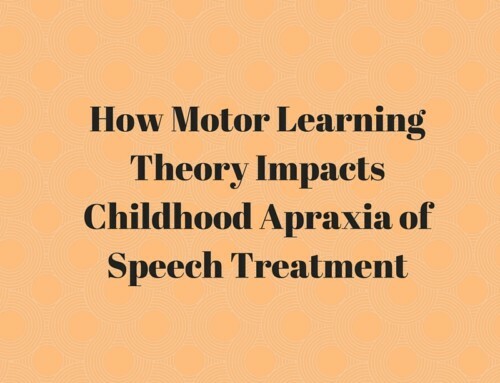 How is a Childhood Apraxia of Speech Diagnosis Made? In short, cautiously! Many severe speech problems can look like CAS at first. It is important to only make the diagnosis of CAS after a course of therapy has been observed. Children with true CAS often make very slow progress with typical therapies. You also should not be diagnosing children with CAS before they are consistently using spoken language to communicate. That means, if the child isn’t talking, even if you observe them trying to make sounds, a diagnosis of CAS should NOT be made. At this point, CAS looks exactly the same to severe phonological disorders, severe articulation disorders, severe dysarthria, and many more. 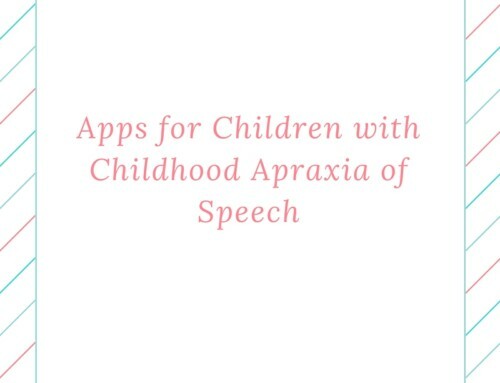 Are there Tests for Childhood Apraxia of Speech? Currently, there are very few instruments for differential diagnosis of CAS. Barbara Dodd and Nancy Kaufmann are two who have created CAS-specific diagnostic tools but you must not solely rely on a standard speech test, such as the Goldmann Fristoe Test of Articulation. These tests do not measure the variability, prosody, or vowel productions. If you are an SLP looking into CAS diagnosis, you should do plenty of research about the current diagnostic tools and how they are used. You should also make sure to do a thorough spontaneous speech sample to collect data on all features of CAS. If you are the parent of a child with suspected or diagnosed CAS, you should talk openly with your speech-language pathologist (SLP) about CAS. Talk about the various other diagnoses that need to be ruled out and ask how it has been determined that your child does not have those conditions instead. Also, ask your SLP about their background, training, and experience with CAS. CAS is treated quite differently from typical speech errors so you want to make sure to find an SLP with experience. Need More Help with CAS? 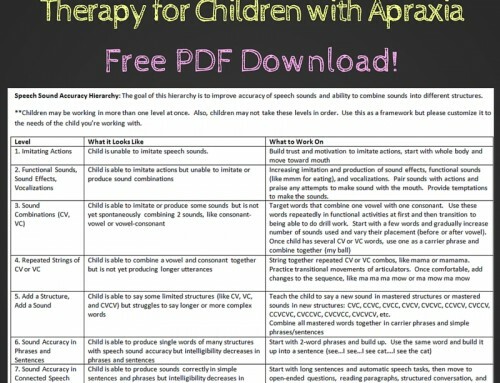 Do you need more help with your clients with childhood apraxia of speech? 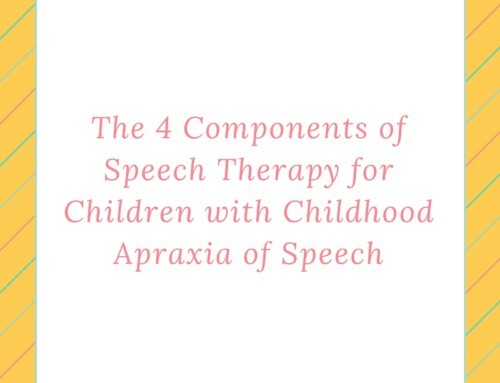 Get answers to all of your questions about childhood apraxia of speech and more by joining The Speech Therapy Solution, Carrie Clark’s premium membership program. You’ll get access to all of Carrie’s training videos and printable therapy materials, plus a monthly webinar and an exclusive Facebook group! Join today!